Beautifully varnished wedding fan decorated with flowers for that rustic look. 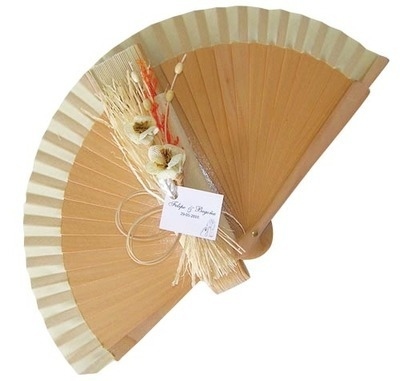 Delicate natural wooden fan varnished on one side to give away as wedding favours to the ladies. Ideal size to keep in the handbag. Free personalised cards on order quantities over 30 fans. 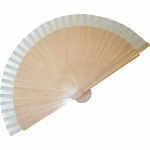 Varnished Wedding Fan (16cm) - SPECIAL OFFER!